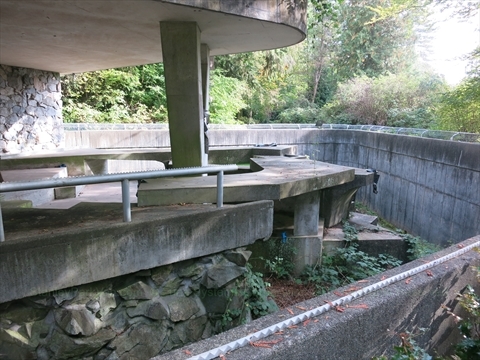 The Polar Bear Compound is where they used to keep the polar bears in the Stanley Park Zoo. The Stanley Park Zoo is long closed and the last polar bear has passed away. Now, it is just an interesting feature to check out in Stanley Park. 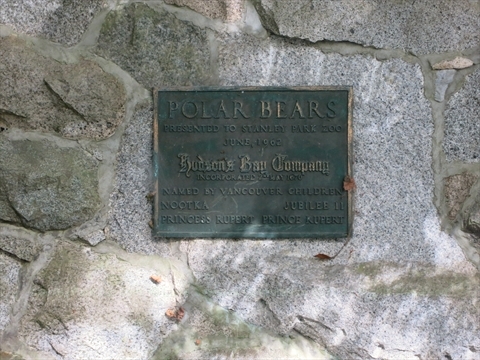 Where is the Polar Bear Compound in Stanley Park? 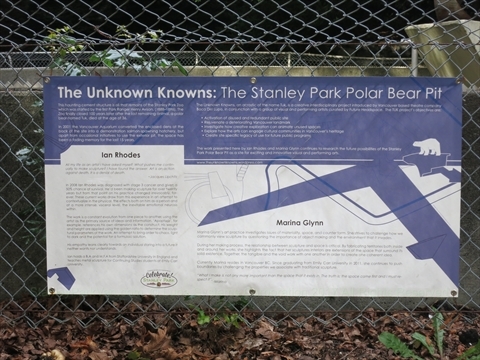 The Polar Bear Compound is located just off of Avison Way up from the Stanley Park Information Booth near Painter's Circle. Close by is the Salmon Display Pond. Not to far away is Malkin Bowl and the Vancouver Aquarium .